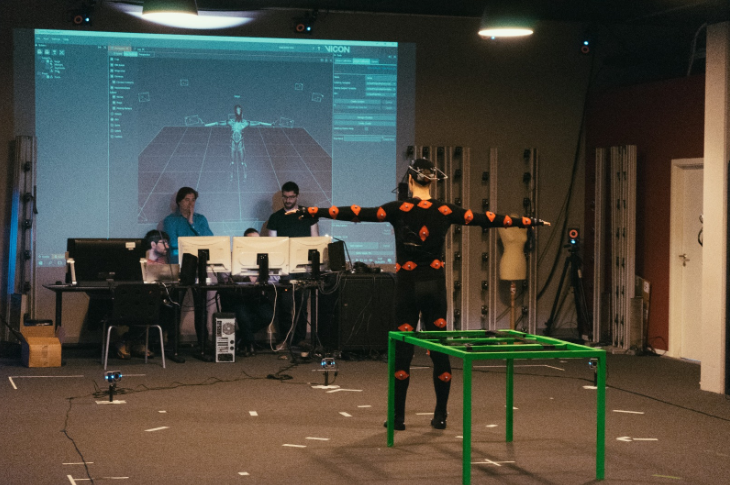 Artanim collaborated with Entropy Studio on the shooting of the first pilot of the VR-Together project. 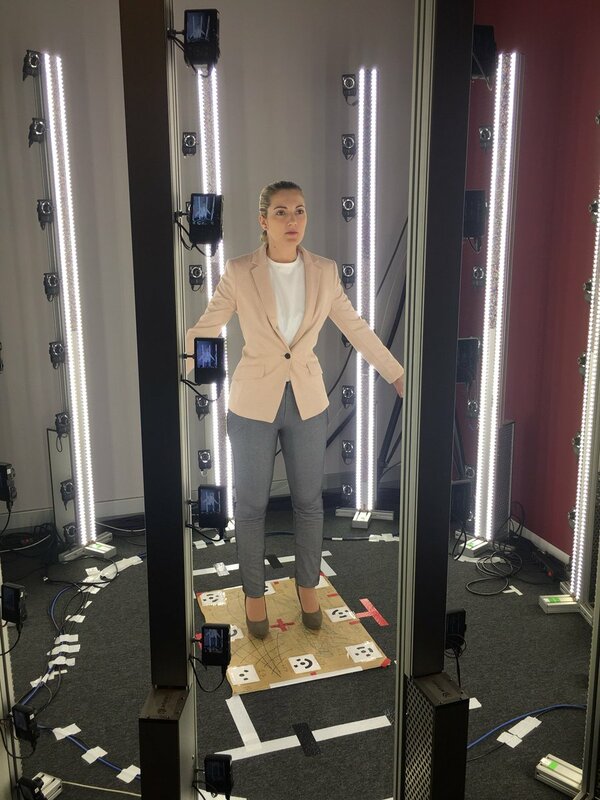 After a short flight from Madrid to Geneva, the actors were 3D scanned with our photogrammetric scanner consisting of 96 cameras, to obtain the 3D surface of their body. Steve Galache (known for his work on The Vampire in the Hole, 2010; El cosmonauta, 2013; and Muertos comunes, 2004), Jonathan David Mellor (known for The Wine of Summer, 2013; Refugiados, 2014; and [Rec]², 2009) and Almudena Calvo were the main characters of this first experience. They were dressed the same way as in the shooting scene. The shooting was split over two days. The first day was dedicated to shoot the actors in costumes on a complete chroma background with a stereo-camera. This will allow the creation of photoreal stereo-billboards that will be integrated in a full CG-environment. 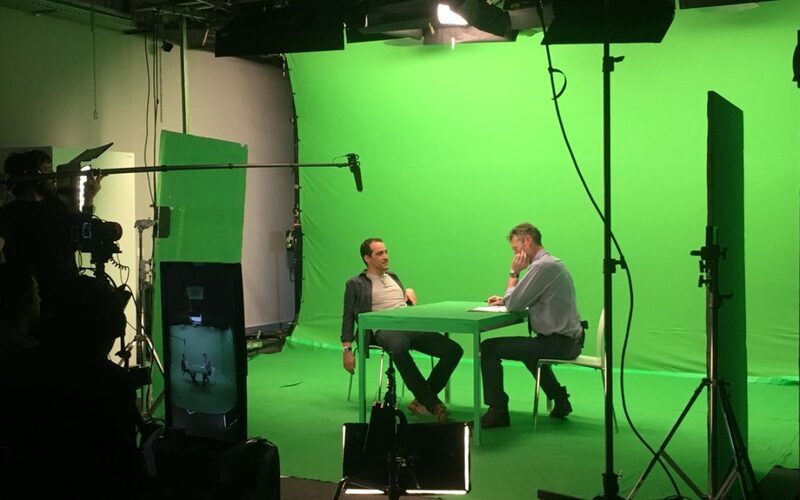 The second day of shooting was focused on full performance capture of the actors. 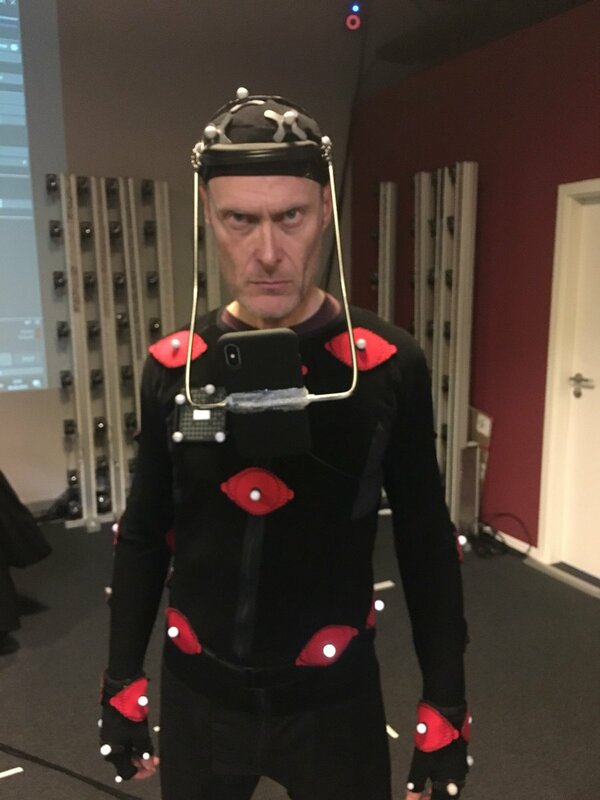 Each equipped with 59 retro-reflective markers and an head-mounted iPhone X, the actors were able to perform the investigation plot (an interrogatory scene) with success. 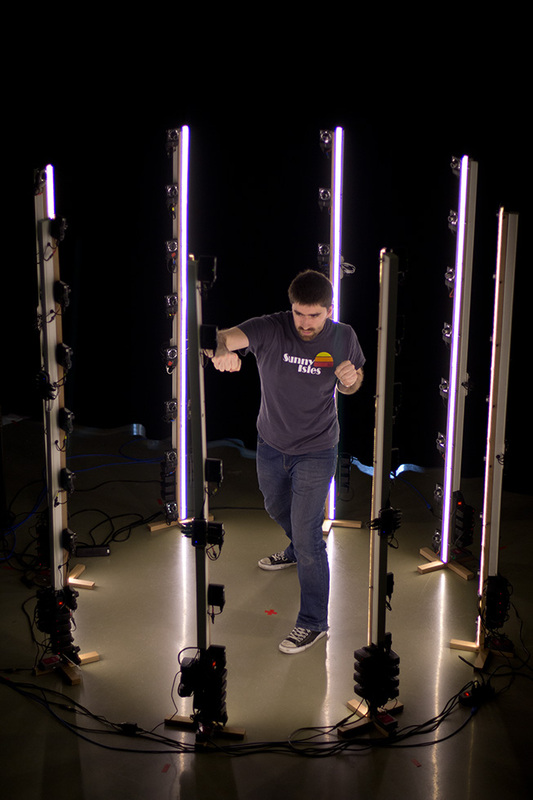 These data will later be used to animate the 3D models of the actors generated from the 3D scans. These full-CG models will be finally integrated in the same virtual environment. This pilot project will thus offer two different rendering modalities for real actors (stereo-bilboard and CG characters). The impact of both techniques will be studied through user studies with an eye on social presence and immersion. 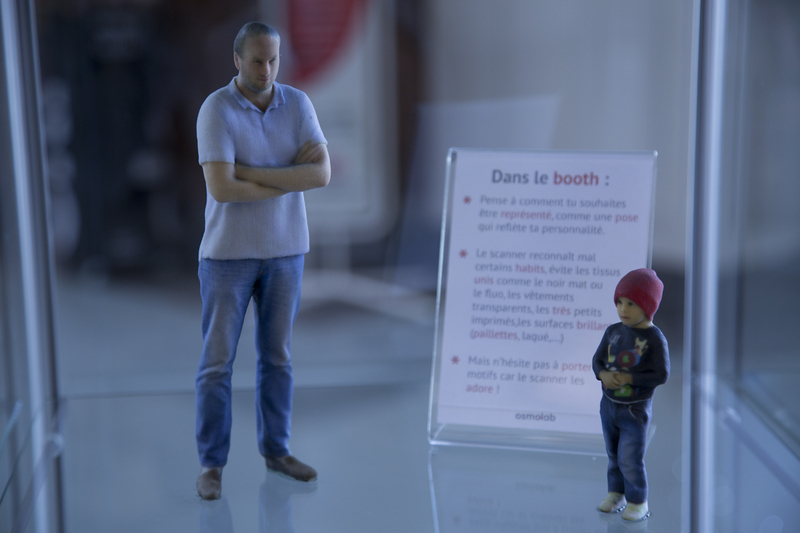 Create your clone in 3D! 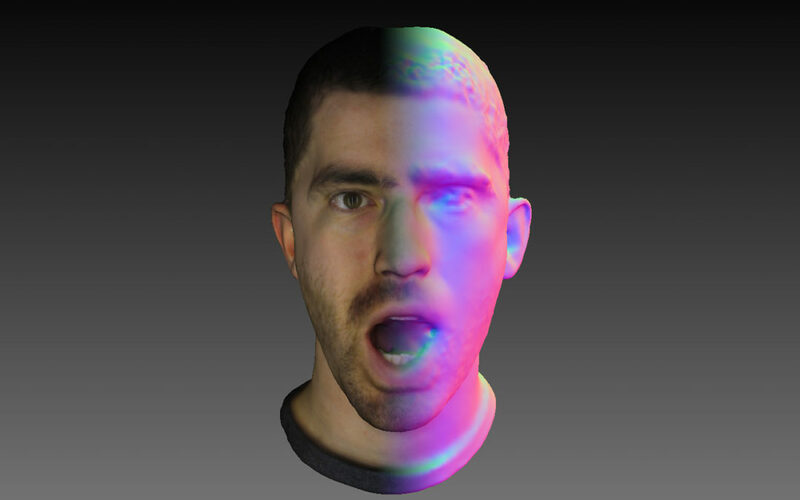 Are you dreaming about cloning yourself in 3D? This is now possible by visiting the center Coop Bassin in Conthey (VS) thanks to the osmo-lab initiative. 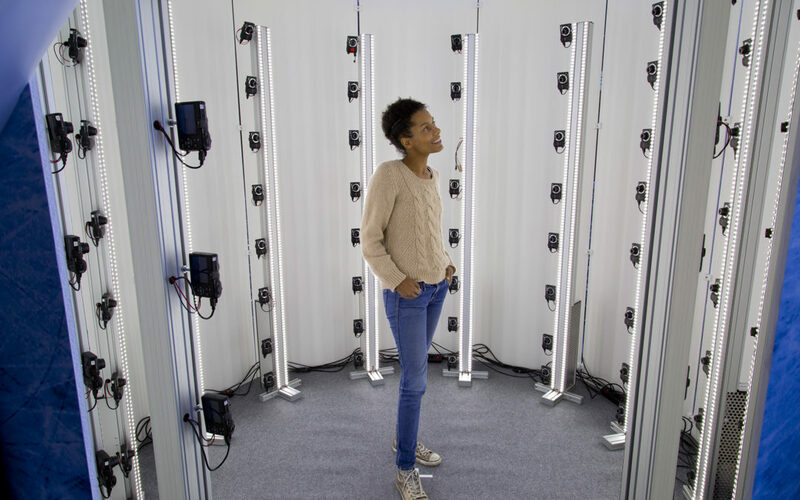 The photogrammetric scanner developed by Artanim is installed until December 6 in order to scan your body and print your 3D figurine. The local press talks about it. And you, what have you planned as a gift for Christmas? 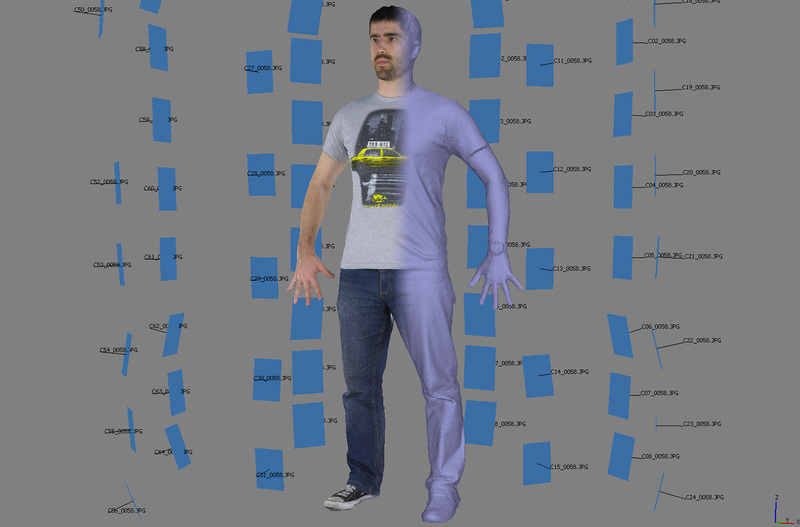 So you have an animation and simulation project, and want to scan people to get their high-resolution 3D meshes. At that point you have wide variety of different options based on different capture technologies, big bulky machines, hand-held devices and scanners that can take quite a while to obtain a scan. So what do you do when you don’t necessarily have a lot of permanent space, when you ideally want to obtain a scan in a single shot, and you want to do all that on a budget? Well, you build your own solution of course. 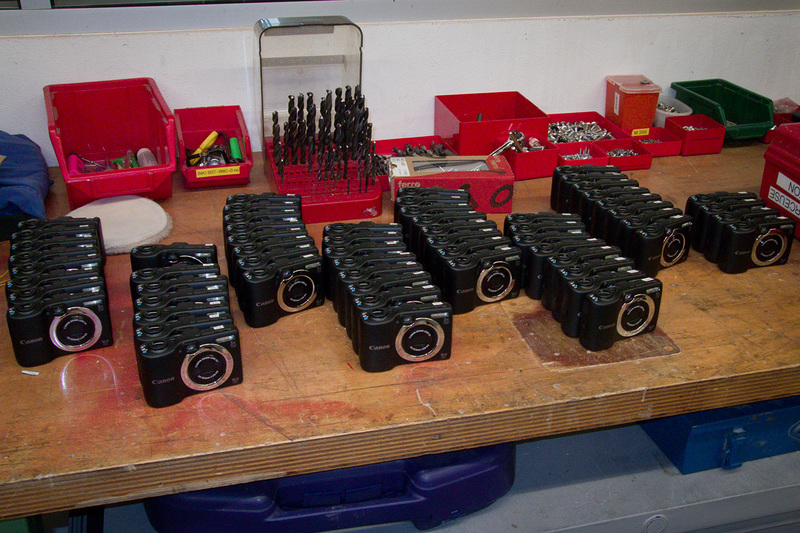 You visit your local camera vendor, and empty their basket of 64 Canon Powershot A1400 cameras, which should suffice to build 8 portable 3D scanning poles. Throw in a significant amount of USB cables, add some USB hubs, grab some wood and hardware from your local DIY store, add some bright LED strip for lighting, and you have all the ingredients necessary to build your own scanner. 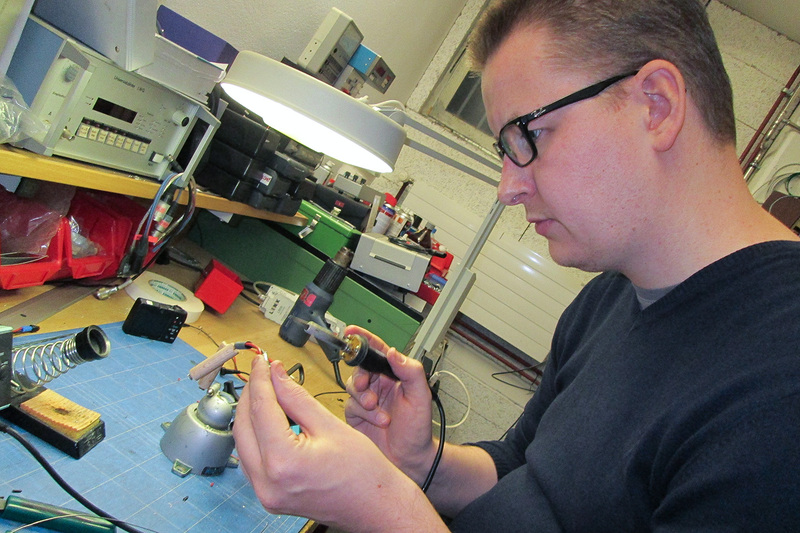 Being the efficient people that we are, the idea of having to charge and replace the batteries for 64 individual cameras at each session did not sound like the most effective solution. So external power it is. Unfortunately the official adapter comes at a cost. 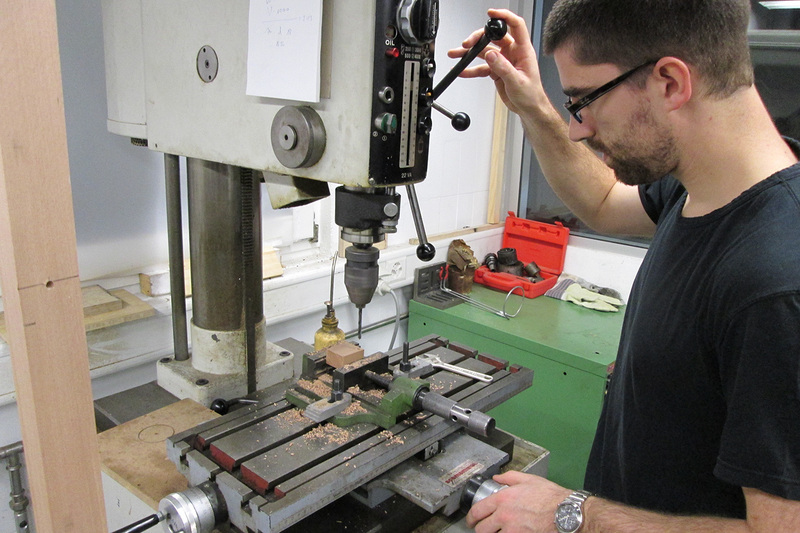 And with us not being all that patient when it comes to seeing results of our labour, an ordering time of several weeks made us wonder “If we’re building the whole thing ourselves, surely we can make our own external power supplies as well”. 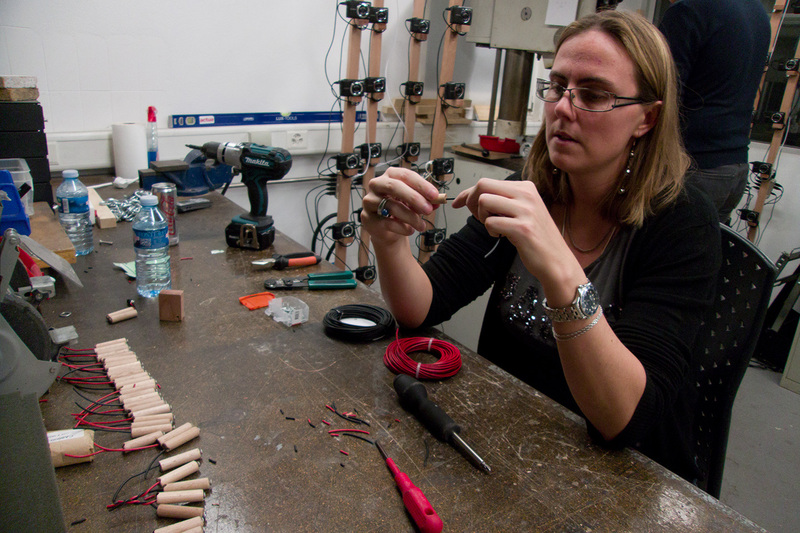 And as soon as we have such thoughts, a “battery” assembly line springs to life, wiring up the wooden batteries and soldering the power-supply connectors. 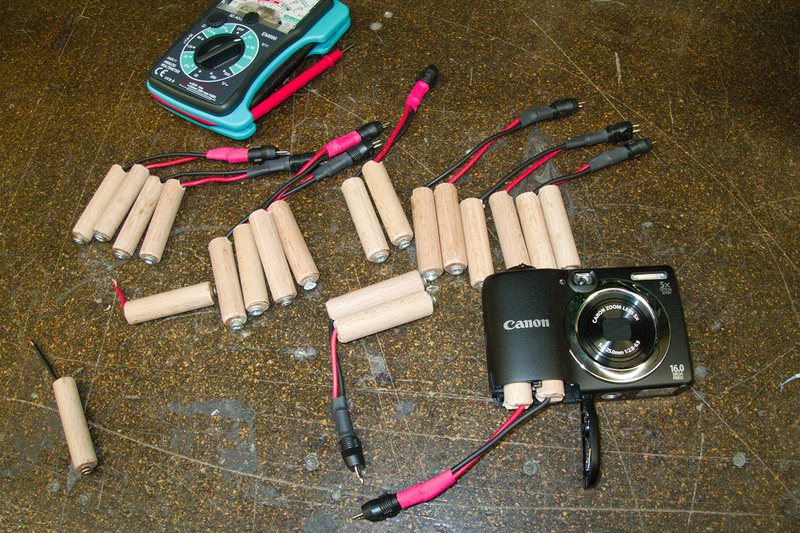 On the software side the Canon Hack Development Kit (CHDK) allows us to control all 64 cameras using custom scripts. With all cameras pretty much synchronized, we don’t have to worry too much about minor movements of the scanned subject, as long as the shutter time is fairly short. The actual capture process has completed in the blink of an eye. Processing the captured images into a 3D mesh and a clean texture uses Agisoft PhotoScan software, and requires only minimal manual tweaks. For animation some additional cleanup and remeshing might be necessary in other software, but the raw results obtained are already very detailed and usable. And there you have it. 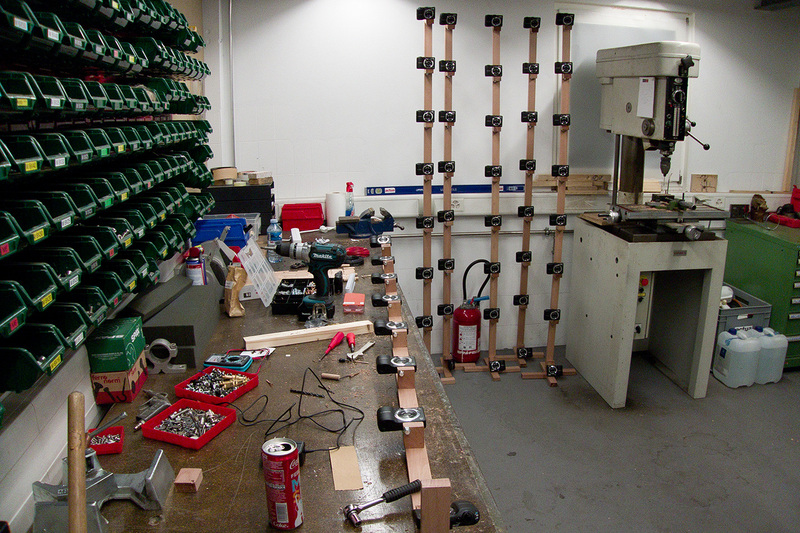 Eight very portable and storable scanning poles, allowing us to capture bodies or objects at a sufficiently high resolution and in a short time.